As part of their Matariki celebrations, Central Otago kindergarten children, sang waiata for whānau and friends. Matariki – the Māori New Year - is a bright spot on our mid-winter kindergarten calendar with kaiako, tamariki and whānau coming up with all sorts of unique ways to celebrate our bicultural heritage. As part of their Matariki celebrations, Central Otago’s Kidsfirst Hawea children sang waiata for whānau and friends at kindergarten, and later for the crowds at a spectacular ECE community celebration at Dinosaur Park, in Wanaka. A shared pot luck breakfast with family and friends and creating Harakeke putiputi/flax flowers (some harvested and woven at kindergarten) were great ways to connect at kindergarten over Matariki. Meanwhile, glowing lanterns, stilt walkers and - after dark - marshmellows toasted over a campfire were all part of Kidsfirst Maniototo’s Matariki celebrations. Toasted marshmellows over a campfire at Kidsfirst Maniototo for Matariki. 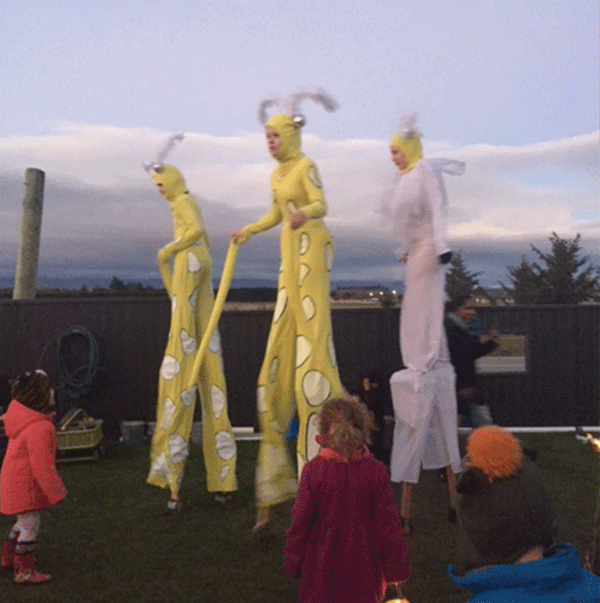 A trio of stilt walkers (pupils from Maniototo Area School) led children and families on a lantern walk around the neighbourhood, before it was back to kindergarten to warm up with a hearty homemade vegetable soup. Stilt walkers led children and families on a neighbourhood walk with handheld lanterns. 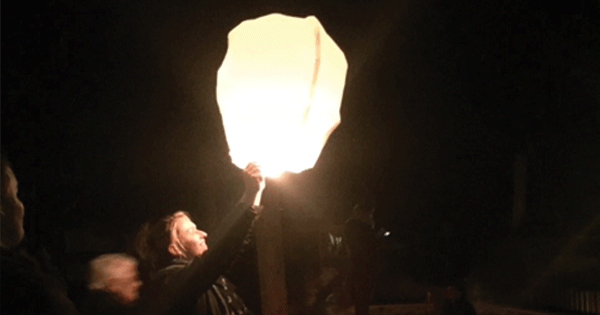 “Families wrote messages to loved ones on lanterns before lighting and sending them into the night sky,” says Deb. 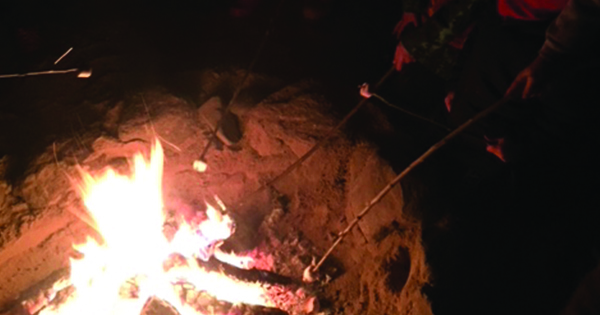 “And the grand finale was marshmallows toasted over the campfire set in the sandpit.” Yum. Sending messages to loved ones on a sky lantern for Matariki at Kidsfirst Maniototo. Let us keep close together not far apart.